No pictures found for plate number 4WSP715 in California, United States. click here to add a picture. 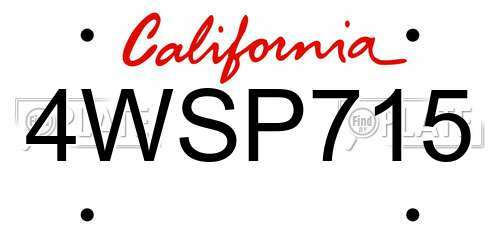 No videos found for plate number 4WSP715 in California, United States. click here to add a video. No owners found for plate number 4WSP715 in California, United States. click here to add an owner. No related websites found for plate number 4WSP715 in California, United States. click here to add a related website. ON CERTAIN PASSENGER VEHICLES, DURING THE STRUT MOUNT MANUFACTURING PROCESS, THE THRUST BEARING WAS NOT PROPERLY POSITIONS AND SECURED. IF THE SUSPENSION IS FULLY UNLOADED, THE FRONT STRUT COULD SEPARATE FROM THE UPPER MOUNT. VEHICLE DESCRIPTION: DURING THE TIRE MOUNTING PROCESS ON CERTAIN PASSENGER VEHICLES BUILT WITH STANDARD (NON-SPORT) SUSPENSION AND EQUIPPED WITH CONTINENTAL CONTITOURINGCONTACT CH95 ECOPLUS TIRES, SIZE 225/65R16 95H, HAVING DOT CODES 4001, 4101, OR 4201, THE OUTER SIDEWALL SURFACE OF THE TIRES MAY HAVE BEEN CUT BY A SHARP EDGE. OPERATION OF THE VEHICLE OVER A LONG PERIOD OF TIME COULD LEAD TO A REDUCTION OF INFLATION PRESSURE. CONTINUED DRIVING WITH LOW INFLATION PRESSURE IN THE TIRE COULD ULTIMATELY RESULT IN DAMAGE TO THE TIRE, AFFECT VEHICLE HANDLING AND CONTROL, AND COULD IN SOME CASES RESULT IN A VEHICLE CRASH. DEALERS WILL INSPECT ALL FIVE TIRES FOR A POSSIBLE CUT IN THE SIDEWALL, AND IF A CUT IS FOUND, THE TIRE WILL BE REPLACED. 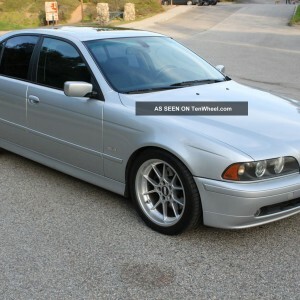 OWNER NOTIFICATION BEGAN DECEMBER 10, 2001. OWNERS WHO TAKE THEIR VEHICLES TO AN AUTHORIZED DEALER ON AN AGREED UPON SERVICE DATE AND DO NOT RECEIVE THE FREE REMEDY WITHIN A REASONABLE TIME SHOULD CONTACT BMW AT 1-800-831-1117.